Native oxide charge referenced to metal peak. 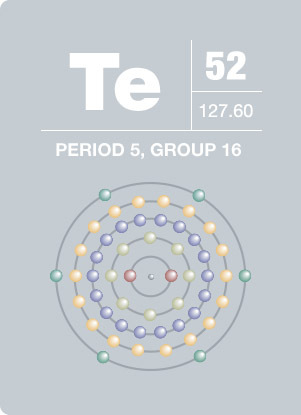 If trying to differentiate between chromium and tellurium, collect entire Te3d region (550eV–600eV), making sure both Te3d5/2 and Te3d3/2 components are acquired. 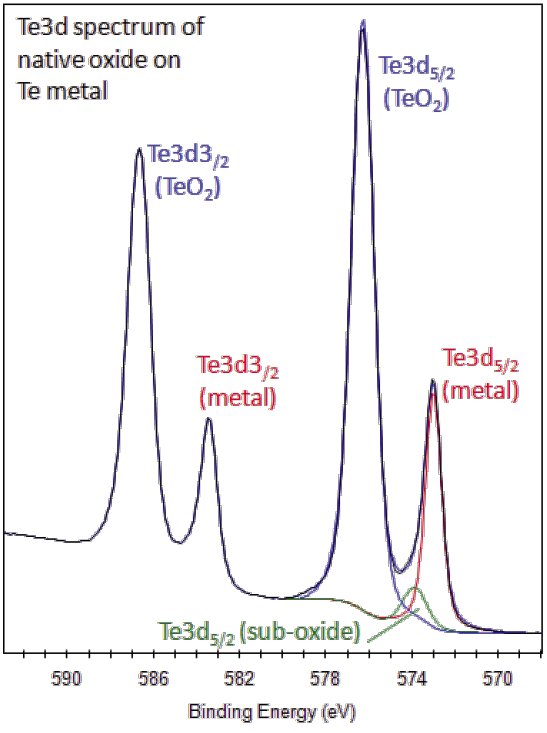 Te3d region has well separated spin-orbit components (Δmetal=10.4eV). Peak shape for tellurium metal is approximately symmetric. Although Te3d / Cr2p peaks have strong overlap, Te3d spin-orbit components have a 3:2 intensity ratio compared to a 2:1 ratio for Cr2p.